Drawing on two years of ethnographic research, Naomi Haynes explores Pentecostal Christianity in the kind of community where it often flourishes: a densely populated neighborhood in the heart of an extraction economy. On the Zambian Copperbelt, Pentecostal adherence embeds believers in relationships that help them to “move” and progress in life. 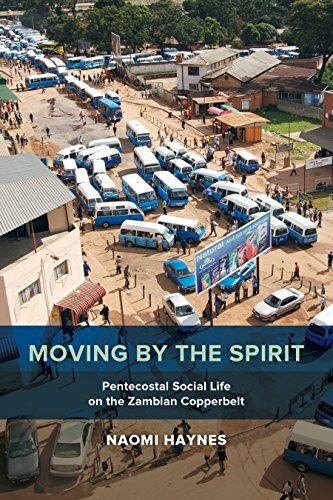 These efforts give Copperbelt Pentecostalism its particular local character, shaping ritual practice, gender dynamics, and church economics. Focusing on the promises and problems that Pentecostalism presents, Moving by the Spirit highlights this religion’s role in making life possible in structurally adjusted Africa.